Ladies and Gentlemen, mark your calendar now! YESSSSSSSSSSSSSSSSS! Hennessy Artistry is back! The Global Art of Mixing Trilogy is finally here, featuring a stellar line up of artists from around the world, as well as a trademark mix of sights, sounds and party vibes befitting of a phenomenal climax for 2012’s blazing H-Artistry series. 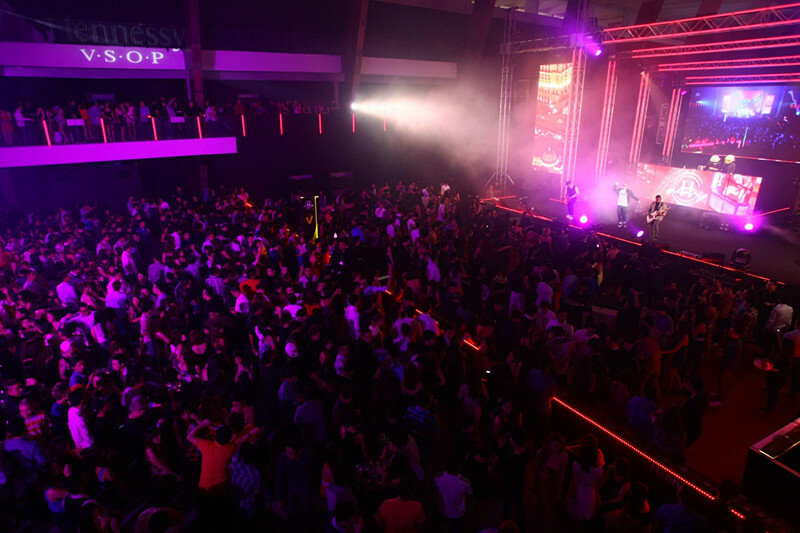 The nation’s most anticipated super-clubbing event is set to take place at the Malaysia International Exhibition and Convention Centre (MIECC) in Mines Resort City this 3 November 2012 from 8.30pm onwards. The biggest H-Artistry parties are widely anticipated every year, especially towards the year-end season. promising a distinctive and epic party arena draped in red and black. 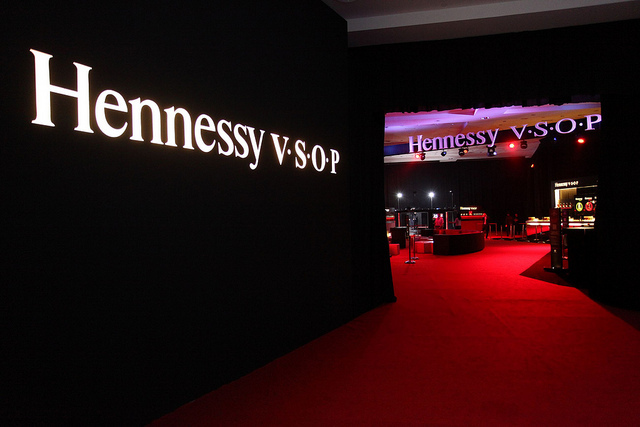 Party goes can have the signature Hennessy V.S.O.P long at the Hennessy Bars, where Hennessy Berry,Hennessy Apple,Hennessy Ginger and Hennessy Soda will be served all night long! 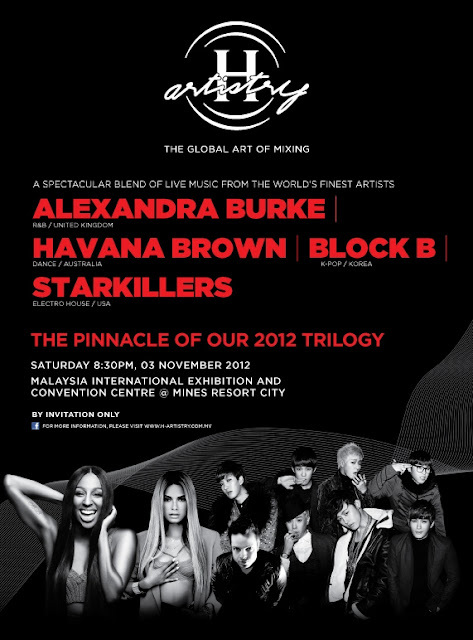 This is gonna be the first time i attend Hennessy Artistry this time! Who's joining this coming 3 of November? Tell me ! Featuring a stellar line up of artists from around the world. Alexandra Burke (R&B) the 2008 winner of The X Factor, a three-time chart-topper on the singles chart (her debut, a stirring cover of Hallelujah, sold 105,000 copies on its first day of release) and the creator of a UK number 1 album, Overcome, that features collaborations with the likes of Flo Rida Ne-Yo and RedOne. She can belt out a ballad and she brings energy in abundance once the tempo shifts up a gear.nclar and others, her distinctive style of Dance and R&B will be part of a fantastic mix of musical genres, styles and cultures by artists from all over the world. Havana Brown (Dance) The talented Australian DJ also holds down three hugely successful weekly radio spots. 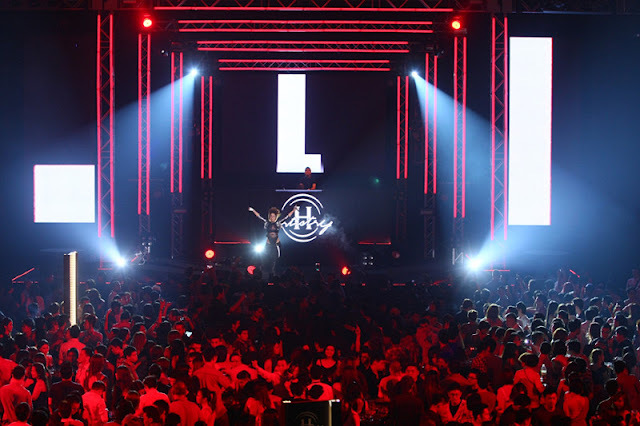 With over a 1-million-strong cult following on her weekly sets, Havana owns the Australian and European airwaves through the Austereo network and Radio FG France – one of Europe’s most popular dance radio networks and home to some of the world’s biggest DJ’s including David Guetta, Tiesto, Carl Cox, Armin Van Buuren, Bob Sinclar and others. Starkillers (Electro House) from USA,Formerly known as Nick Terranova, Las Vegas talent Starkillers has been cutting a swathe through the bolshier end of the global house music scene over the last few years with his tough-edged, eclectic sound.As he brings an edgy addition of electro house to the epic finale of 2012’s H-Artistry. Block B (K-Pop) is one of the fastest rising K-Pop boy bands internationally, and have garnered lots of attention as well as a huge following throughout Asia,Bringing hip-hop and K-Pop into the mix at the H-Artistry finale at MIECC, Block B is another crucial ingredient in the excellent mix of musical styles and genres that represents what H-Artistry stands for – The Global Art of Mixing. People,please take note of this. 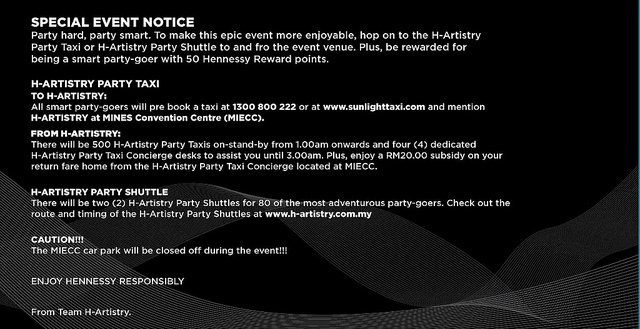 FREE H-Artistry Party Shuttle or the subsidized H-Artistry Party Taxi services and be chauffeured to MIECC and back, as parking at the venue will not be available. 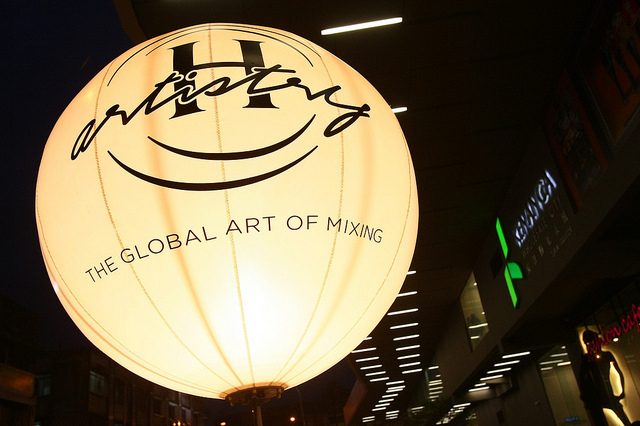 Join in the H-Artistry finale this 3 November by watching this space for your chance to win invites: www.h-artistry.com.my. 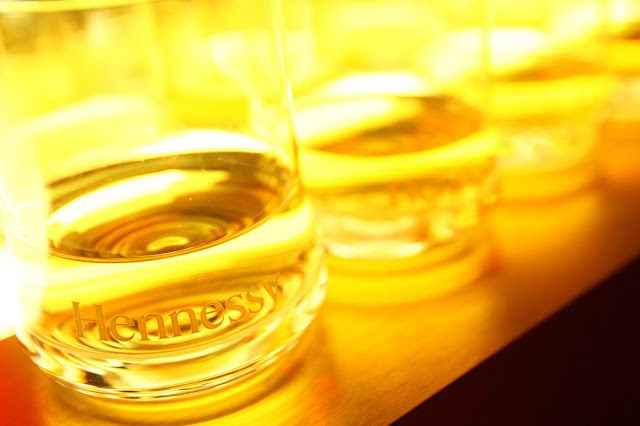 And,download the MY Hennessy App NOW from the App Store or Google Play onto your iOS and Android devices. H-Artistry is open to non-Muslims above the age of 18 only. All at once, these foods are almond-based mostly rather then beef based. village. to steep it in drinking water. cardiovascular system, jade is the indication of beauty. language. The recognition of this book is for most motives. On the other hand, who knows should your associates are informing the entire truth.